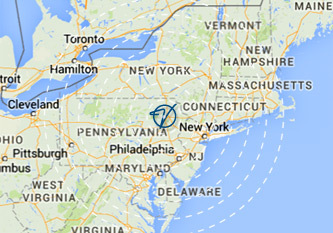 logistics Our distribution centers are strategically located along the I-81 Corridor in Northeast Pennsylvania. logistics Located in Northeastern Pa., your products are positioned within one day’s travel of over 60% of the US population. logistics Our truckload fleet, CDS Transportation, provides customers with one easy solution for warehousing & transportation needs. Valley Distributing & Storage Company is an asset based Third Party Logistics (3PL) provider for a broad range of industries including forest products, consumer goods, and health & beauty aids. Valley Distributing & Storage from Valley Distribution on Vimeo. Valley provides public and contract warehousing, shared and dedicated facilities, order management, transportation management, customer visibility via website and more. Located in Northeastern Pennsylvania, your products are positioned within one day’s travel of over 60% of the US population; at a lower cost than major metropolitan areas. With over two million square feet of food grade distribution space, our goal is to provide our customers with consistent, quality service. 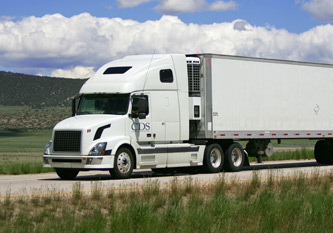 With our own truckload fleet, CDS Transportation, we provide customers with one easy solution for warehousing and transportation needs. While CDS’s asset based fleet is focused on handling Mid-Atlantic and Northeast freight, our brokerage service provides national coverage. Our services include- truckload carrier, intermodal capabilities, flatbed services, drop trailer capabilities. We also provide dedicated and shuttle services. 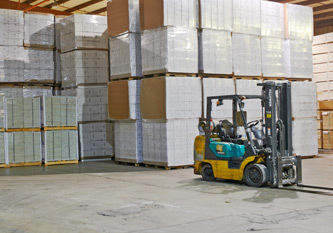 Valley Distributing and Storage Company is a long-established local and regional third-party logistics operator. Our distribution centers are strategically located along the I-81 corridor in Wilkes-Barre, Laflin and Scranton, Pa. With easy access to Interstates I-76 and I-476 interconnecting with I-80, I-84, I-380, & Pa Turnpike, our facilities are within one day’s travel of major metropolitan areas and two hours from Philadelphia, New York, and New Jersey. Our logistics and trade park in Laflin, Pennsylvania is strategically located at the center point of the mid-Atlantic corridor. Where major interstates interconnect, you are within a 500 mile radius of 96.3 million people. April 3, 2019 Happy Retirement Phyllis!